Home / alist developers ltd. / Who Should Supervise A Building Project; Architects, Builders Or Engineers. 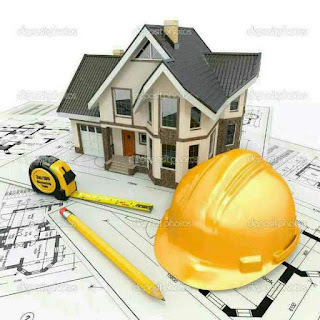 Who Should Supervise A Building Project; Architects, Builders Or Engineers. There is an everyday argument on WHO SHOULD SUPERVISE A BUILDING PROJECT; The Architect, Builder or Civil/Structural Engineer? * Architect [n.]: A person skilled in the art of building; one who understands architecture, or makes it his occupation to form plans and designs of buildings, and to superintend the artificers employed. * Superintend [v. t.]: To have or exercise the charge and oversight of; to oversee with the power of direction; to take care of with authority; to supervise; as, an officer superintends the building of a ship or the construction of a fort. We'll stop here for now, while we get the definition of B & C from the same dictionary. * Builder [n.]: One who builds; one whose occupation is to build, as a carpenter, a shipwright, or a mason. This definitions, almost limits the builder to a business man, (that's not my conclusion) - that's what the dictionary thinks. we'll also come back to argue this, while we look at the last definition 'C' below. Lets summarize the 3 definition on here; The first mentioned structures but noted that these does not include ornamental elements eg pop designs, tiling etc while the other two (from civil) were silent about buildings. The first conclusion we can draw from this definition is that the Civil Engineer is solely responsible for supervising structures like bridges, roads, dams and he has no competition in those area. Verdict: The dictionary thinks the Architect is the more appropriate person to supervise the building BUT WE WOULD NOT CONCLUDE HERE. * Structural engineering is mainly a sub-division of civil engineering where structural engineers are trained to understand, predict, and calculate the stability, strength and rigidity of built structures for buildings and non-building structures, to develop designs and integrate their design with that of other designers, and to supervise construction of projects on site.